Available to purchase online or at your favorite store! Scroll down for more info! Introducing our NEW Combo Pack in clamshell packaging! Scroll down for more information! Interested in selling Liquid Grip at your store or facility? Contact us! Providing a product that works – and is allowed in your gym! Made from 100% natural and biodegradable ingredients. 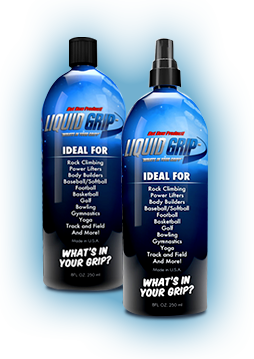 Liquid Grip’s properties give the athlete a dual effect of chalk and rosin without the mess. It dries within seconds, acts as an antibacterial, and lasts through the sweatiest workouts. in clamshell packaging – includes visual insert. 8oz Refiller Bottle available with and without pump. 1.5oz Carabiner Bottle available in custom printed pop-up display. 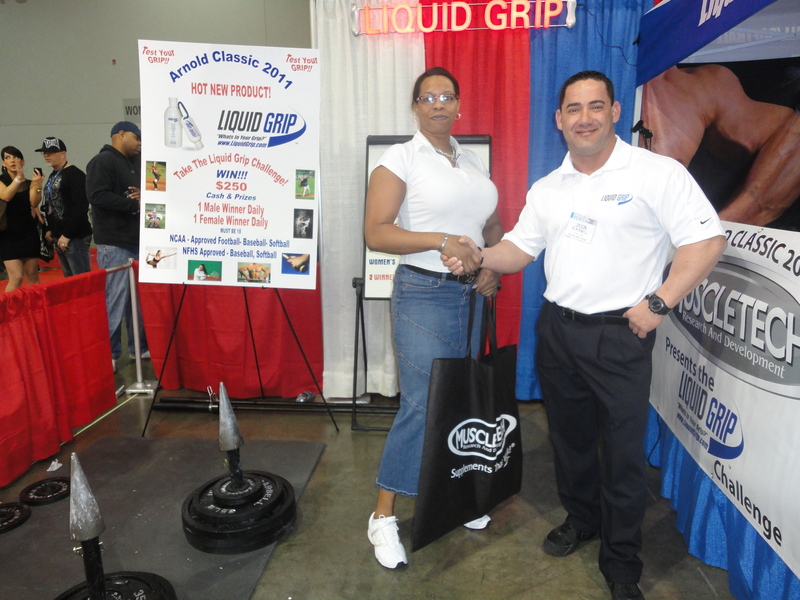 Liquid Grip was introduced in the Spring of 2010 at the Arnold Sports Festival in Columbus, Ohio. 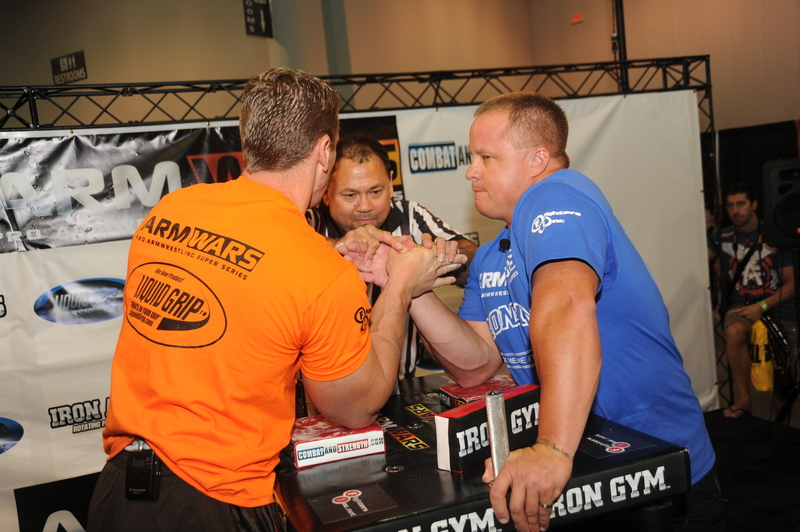 The introduction at the Arnold Classic was to offer our revolutionary product to a wide spectrum of athletes and make an impression on those athletes looking for a competitive edge. 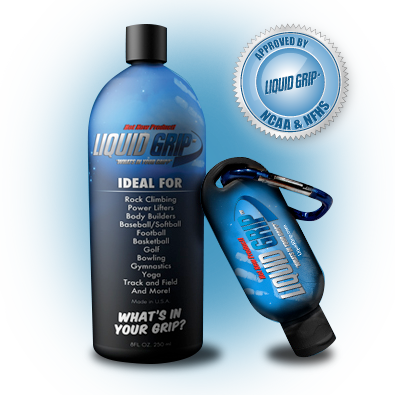 From inception of the product to the present, Liquid Grip is available for purchase in 6 different countries. 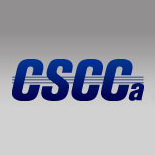 We are the only liquid chalk showing written approval by the NCAA, NFHS and ASA. You will also find Liquid Grip compliant with many sports that allow chalk, resin, or liquid chalk. Liquid Grip is also allowed in several gyms where regular chalk is not permitted. 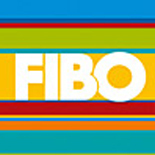 It is favored by Coaches, Trainers and Athletic Directors for its effective delivery and its non-transfer technology. 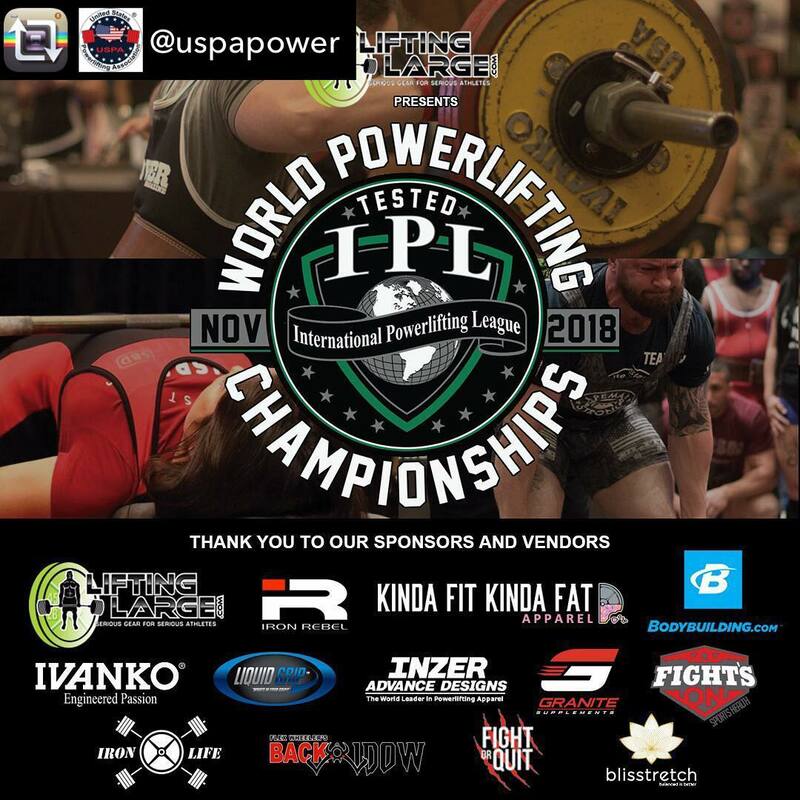 With its success at the Arnold Sports Festival, Liquid Grip attends trade shows all over the world, branding this amazing product made right here in the USA. I coach at Winthrop University, a Division 1 softball program. I recommend my athletes use it when it is raining for additional grip on the ball. 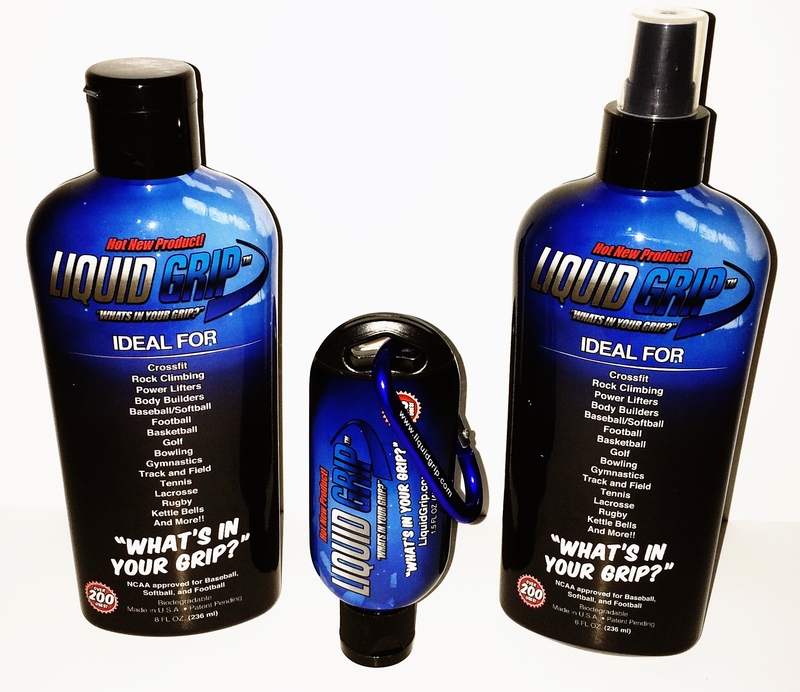 Thank you Liquid Grip for the great product! 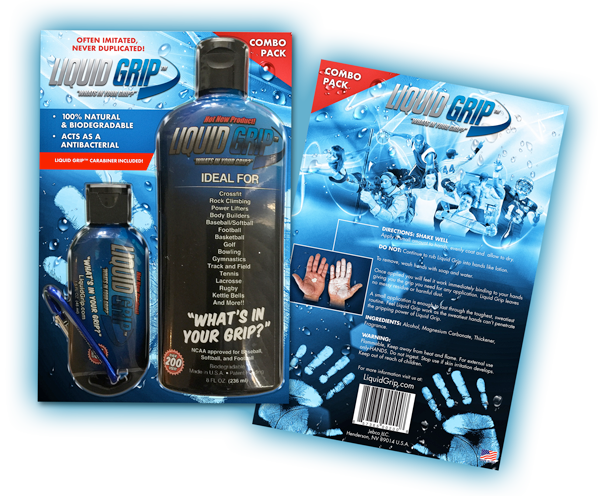 Liquid Grip is empowering! With one application, there is immediate improvement in a softball player’s dexterity, awareness and grip strength. 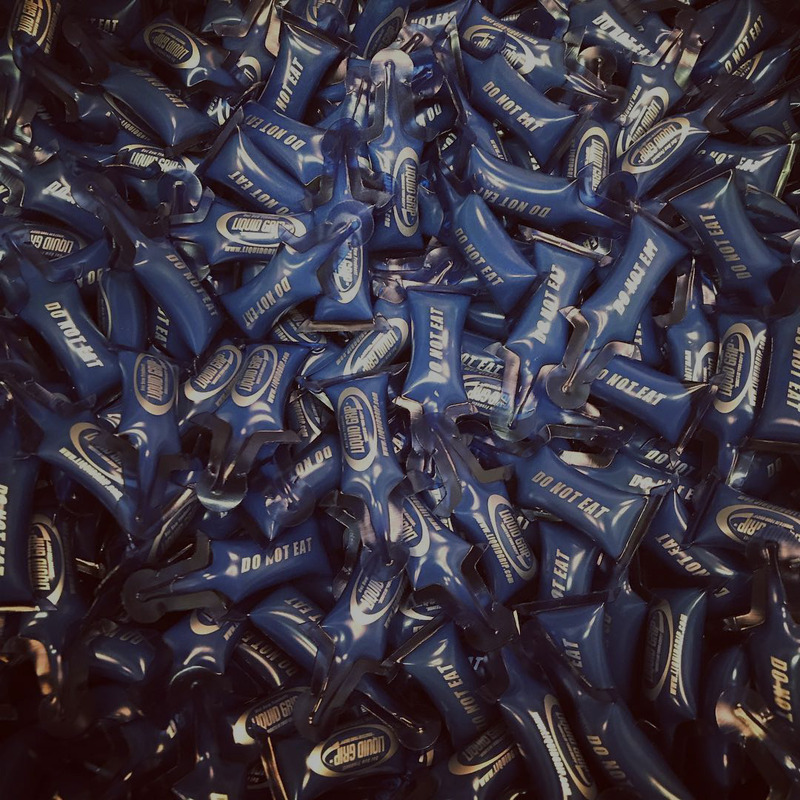 Liquid Grip combats the challenges of sweat and rain and is a must have for every player’s equipment bag. Love it! Has worked wonders on my deads… I totally recommend it! Liquid Grip is very good. I use in training and also I use in Paris where I set 3 world records: farmers walk, log lift and front hold. 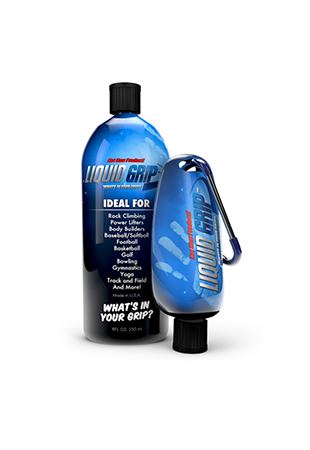 Our customers choose Liquid Grip for a reason! 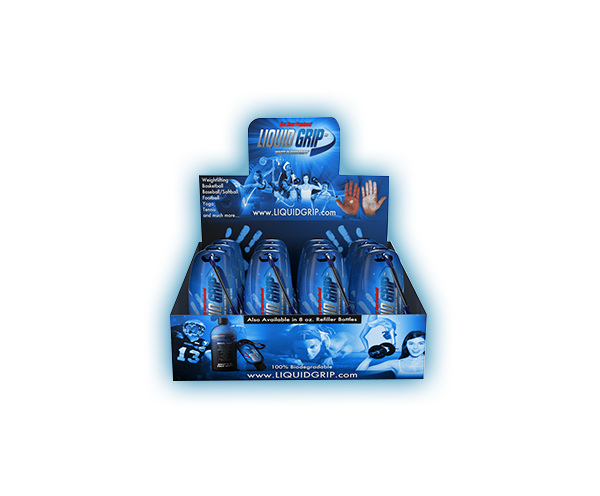 Unrivaled grip enhancement! 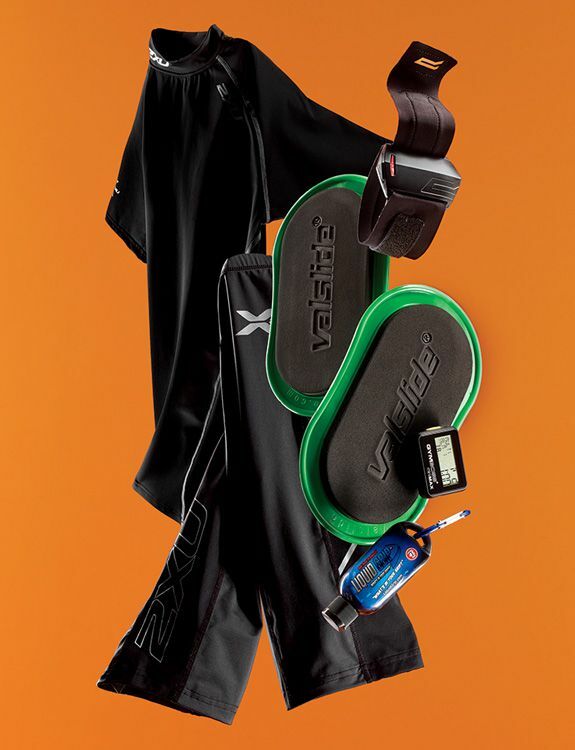 What’s in your grip? 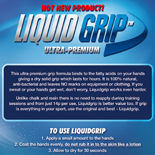 Liquid Grip News Flash: 4G approval for all Liquid Grip products! 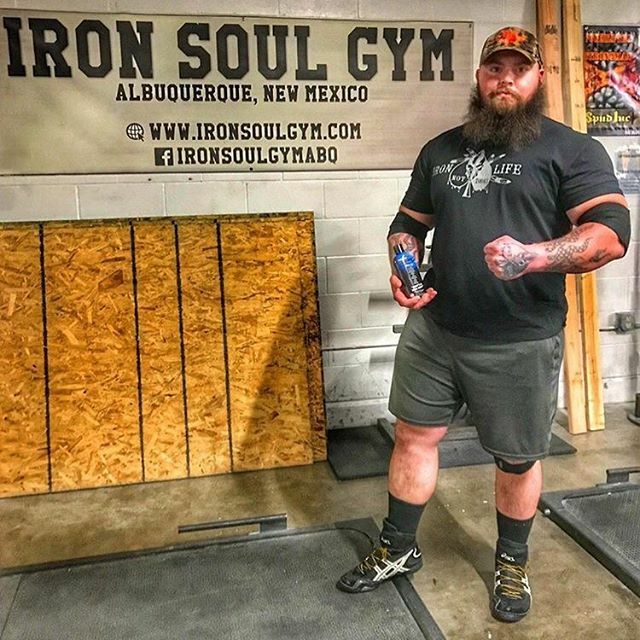 Members of CrossFit love Liquid Grip! 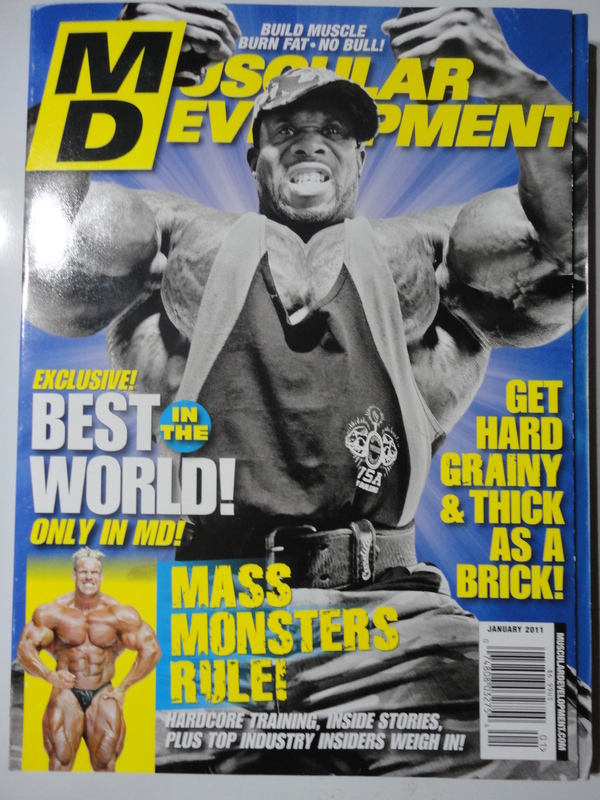 Check out some of the magazines that have promoted and featured Liquid Grip! 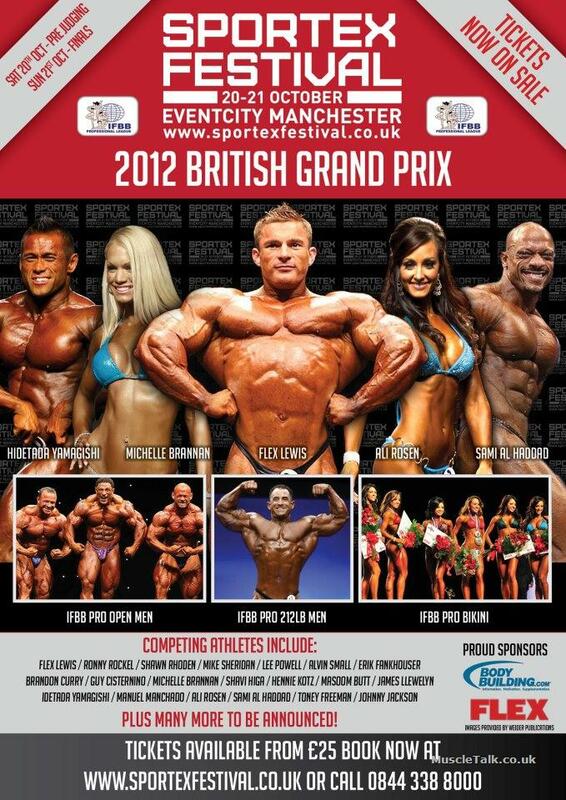 We’re Making Some Noise in the UK! 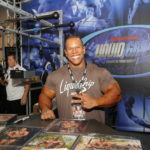 Check out the excitement at the Liquid Grip Booth from the 2012 Olympia Event in Las Vegas, NV! 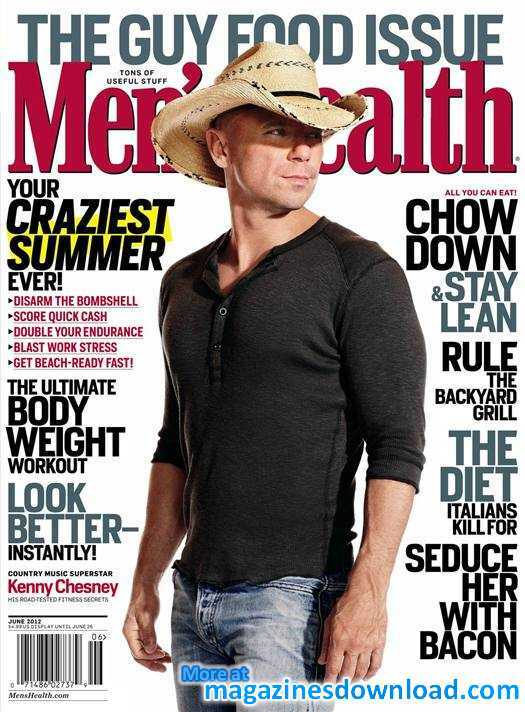 Liquid Grip was featured on the June 2012 issue of Men’s Health.